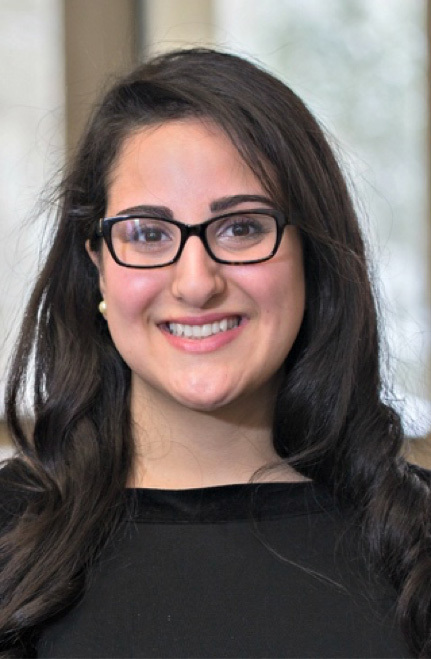 The Harry S. Truman Scholarship honors the nation’s future public servants and change agents, but Miami University’s Sara Al-Zubi, a 2018 recipient, decided the future was too far away. She’s making an impact now. In fact, her full-speed-ahead activism began as she was entering her freshman year at Miami with a news report and a photo of a Syrian boy. Three-year-old Alan Kurdi drowned in the Mediterranean Sea, a victim of the Syrian conflict in 2015. His haunting image struck a personal chord with her. Al-Zubi spent some of her early childhood years in Jordan, near the border of Syria — before the war and before her family immigrated to the United States. She recalled later visits back to the region, sitting with family drinking tea and hearing the neighboring bombs. The sound terrified her. That memory stayed in the back of her mind as she and her family struggled to fit into their new American home. Then college came, and the Syrian boy’s photo, and she just could not simply scroll through the news anymore. “I have a four-year-old brother, and if my luck didn’t turn out this way, this could have easily been my brother,” she said. She began a letter-writing campaign to the children of Syria that grew into her first nonprofit venture, Peace of Mail, in which she encouraged people around the world to write letters of support and hope to children who had fled the Syrian civil war into refugee camps in Jordan, as a reminder that they were not alone. Fast forward to April 2018, now a junior majoring in human capital management and leadership who is also pre-med, she recently traveled to Washington, D.C. to meet with a panel from the Truman Foundation. Armed with a backpack of recommendation letters and three years of public service work, she personally didn’t believe she had a chance at being selected as one of the 59 national scholarship recipients. However, Zeb Baker knew she did. Baker is the chair of Miami’s national fellowships committee, who has worked with Al-Zubi since her freshman year. 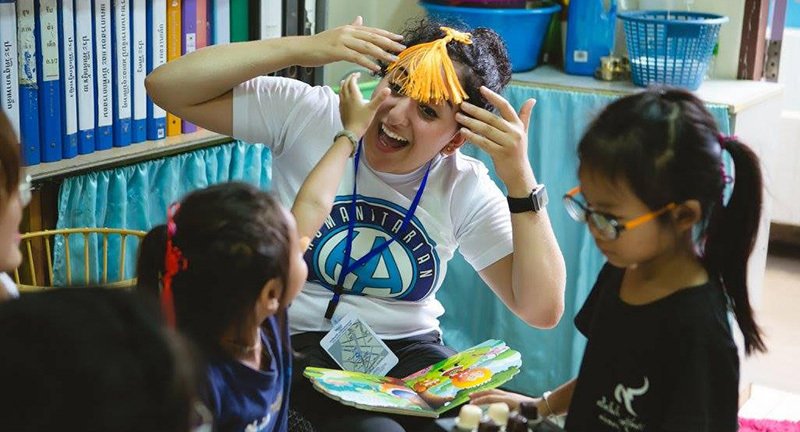 During her three years at Miami, the honors student worked on refining her passion for helping refugees. “I was constantly challenged to expand my borders and widen my perspective,” she said. She has worked with refugee populations in Cincinnati as a refugee transition coach for RefugeeConnect Ohio to improve their adjustment process into the American culture. As a Muslim Jordanian American and a native Arabic speaker, she was someone whose credibility they trusted. Al-Zubi co-founded ProjectEquip, designing mental health training modules for 80-100 community workers and leaders to better prepare them for their work with refugee clients and patients. Currently, she is working to start a mental health hotline for refugee families in America through her new foundation, 3Sisters Foundation, a nonprofit that seeks to address the mental health challenges that refugees confront. Jump to today, April 12, the official announcement of the award. She is the first recipient since 2003 and first finalist at Miami since 2015. She is also the only winner from Ohio this year. The $30,000 scholarship will help toward her goal of attending medical school as well as her desire to also earn a master’s in public health. She will be recognized with the other Truman Scholars from around the country at an awards ceremony at the Harry S. Truman Presidential Library in Independence, Missouri, on May 27. In the meantime, as a Truman Scholar, she now can apply for the Washington Summer Institute. She would like to intern for the Office of Refugee Resettlement in the Department of Health and Human Services.